For people suffering from asthma, a peak flow meter makes it easy to monitor lung capacity and understand how changes in weather and season affect their condition. Typically, this information is stored as discrete readings in an “asthma diary”. The problem with a paper diary, though, is that as the number of readings increases, so does the difficulty of analyzing them in a holistic way. To make this easier, I decided to build a simple cloud application to both record meter readings electronically and provide visualization tools to make analysis as simple as a one-button click. 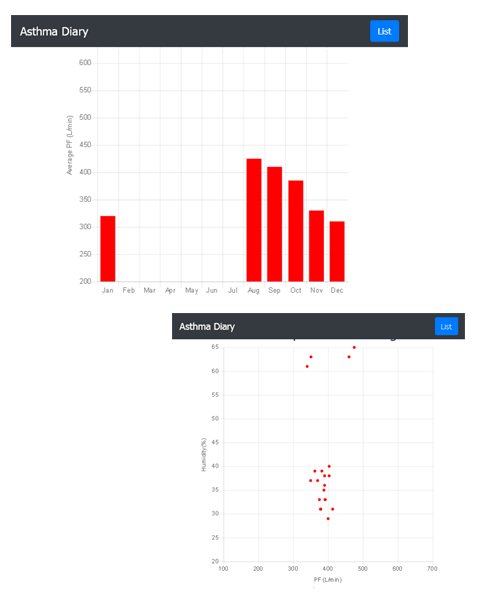 My “cloud asthma diary” allows users to input and save peak flow meter readings into an online application. Each time a reading is added, the application automatically retrieves current external weather conditions, such as temperature and humidity, and enhances the reading with this additional metadata. Users can see visualizations of the saved data, such as a bar chart of peak flow averages grouped by month, or a scatter plot of peak flow values versus temperature. Here are examples of graphs generated by the application. The first shows changes in peak flow readings by month, while the second correlates readings with external humidity. The application uses the IBM Cloud Cloudant service to save readings to a Cloudant database in the cloud and the IBM Cloud Weather Company service to retrieve current weather data. It also uses the Slim PHP micro-framework to process requests, Bootstrap and Twig to create a mobile-optimized user experience, Guzzle for API operations, and Chart.js to create charts and graphs from the saved data. If this sounds like something that would help you better understand and manage your own asthma, you can download the code from GitHub and then read my IBM Developer article for details on how to deploy and use it. 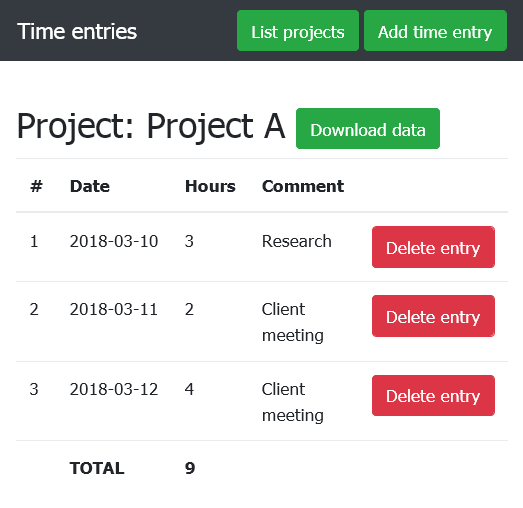 And if you’d like to customize it – for example, if you’d like to add extra metadata or create additional types of charts – ping me on GitHub or submit a pull request with your changes. When I first started with this WordPress blog, I installed the Custom Content Type Manager (CCTM) plugin to help me manage custom content types. Although this has been perfectly adequate for my needs, I’ve been looking to migrate over to the Pods plugin for a while now, if only because it seems to offer a bunch of additional features (relationships, a REST API…) and a nicer interface. And recently, when CCTM appeared to have crashed on me for a couple of days (turned out to be a stale cache), I decided to take the plunge. My blog uses three custom content types: Books, Articles and Presentations. Pods’ documentation is extensive, but it didn’t cover my key problem: transferring control of these existing content types, hitherto managed by CCTM, over to Pods without either corrupting my data or having to spend time exporting and re-importing my posts. After a few false starts (and database restores), I finally hit upon a simple process to transfer control of my custom content types from CCTM to Pods. At the end of the process, I was able to remove the CCTM plugin and view and manage all my custom content through the Pods interface. Install and activate the Pods plugin. Log in to your MySQL database using the CLI and run the following SQL query to rename posts of type book to a (temporary) new identifier. This step is necessary to avoid a name collision with Pods. 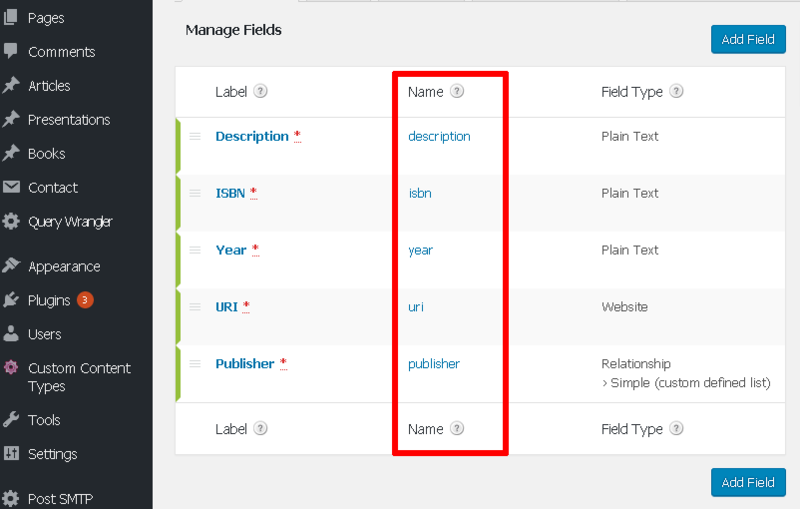 From the CCTM plugin administration page, make a list of the fields attached to the Book content type and then deactivate it. The process should affect 0 posts (because the database no longer has any records with the book identifier). From the Pods plugin administration page, clear the Pods cache. Create a new Book pod. 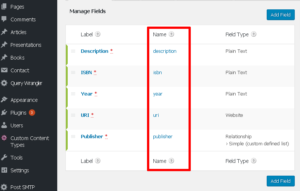 Add fields to the new Book pod, ensuring that the field names are identical to those originally attached to the Book content type in CCTM. It’s important to ensure the field names match exactly, as otherwise you might lose some of your custom metadata. Save the new Book pod. Log back in to your MySQL database using the CLI and run the following SQL query to change your posts back to type book. 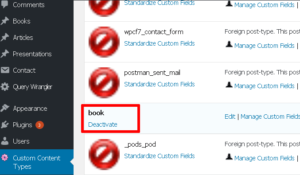 Check the list of Books in the Pods administration interface. 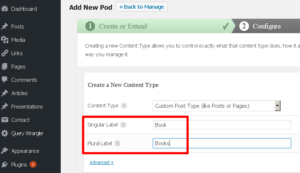 You should see that the Pods plugin now recognizes all your Books, and you can use the Pods administration interface to add, modify and delete Book posts. 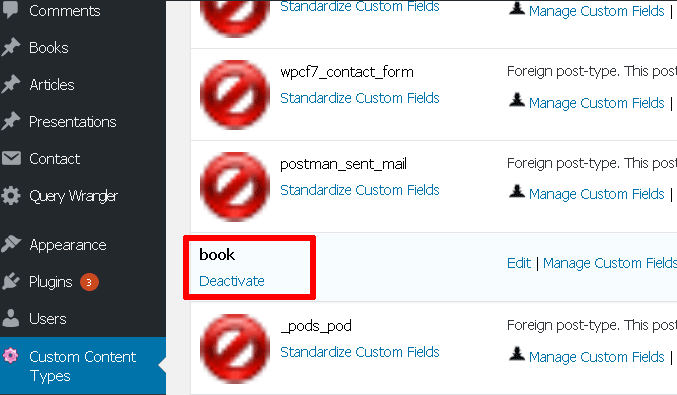 Once you complete transferring control of your CCTM content types to Pods, you can simply deactivate and uninstall the CCTM plugin. 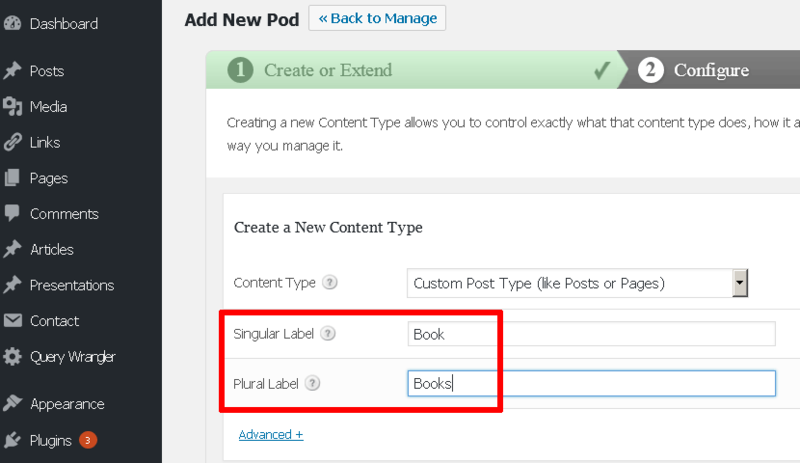 All your previous custom content can now be managed through the Pods interface. Continuous delivery is pretty awesome. There’s no fiddling about manually packaging or transferring code; instead, your code is automatically packaged and deployed on an ongoing basis, and you can see (and test) the results within a few minutes of making a change. Up until recently, if you were using Bluemix, you needed to rely on external or third-party services coupled with various custom scripts to implement continuous delivery for your Bluemix applications. 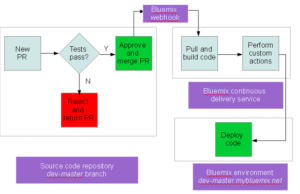 To make things easier, a Bluemix Continuous Delivery service was recently introduced, which comes tightly integrated with Bluemix out of the box and which provides a secure, automated way to build, test, and deploy your Bluemix applications. I recently had an opportunity to try the new Bluemix Continuous Delivery service with a PHP application on GitHub. In my usage scenario, I wanted my target Bluemix deployment to always reflect the latest “tests passed” version of the PHP application’s dev-master branch. Each time a pull request is created in the GitHub source repository, the source code will be automatically tested by Travis CI with PHPUnit to ensure all unit tests pass. If the unit tests pass, the pull request will be manually or automatically merged into the repository’s development branch. This merge will automatically trigger a new deployment of the application on Bluemix using a Bluemix Continuous Delivery toolchain. If the unit tests fail, the pull request will not be merged and the current deployment on Bluemix will remain unaffected. Sounds interesting? To find out how to do the same for your Bluemix applications, read my IBM developerWorks article which has a complete walkthrough of the steps. If you work as an independent recruiter or an in-house HR manager, you’re probably inundated with CVs from aspiring job candidates. You’re also probably collecting data from other sources: social media, LinkedIn profiles and your own interview notes. And the more data you collect, the harder it becomes to spot the right candidate for a particular requirement. If that sounds familiar to you, relax. There are better ways of matching job candidates with business needs, especially if you let technology help you. 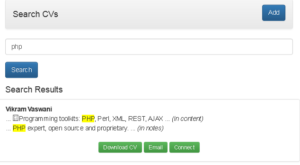 Close your eyes and imagine an application that lets you upload all those CVs and notes, scans and indexes them, and gives you a way to search them using skill keywords like “PHP” or “aerospace engineer”. Sounds good? I thought so too. 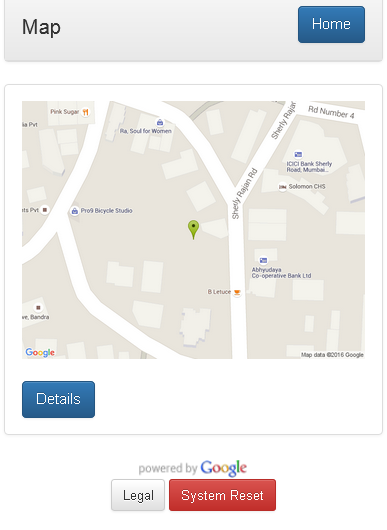 That’s why I recently built a mobile-optimized app for CV indexing and search, which does everything I just said above. It’s built using PHP and tightly integrated with both Searchly (for fast data indexing and search) and Bluemix Object Storage (for CV upload and download). Try out the demo on Bluemix, get the code from GitHub and read all about it in my developerWorks article. 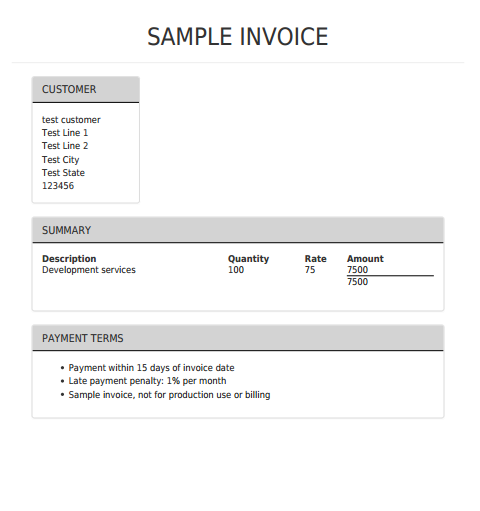 At the end of every month, I sit down for a couple of hours to create and send out invoices to my customers. 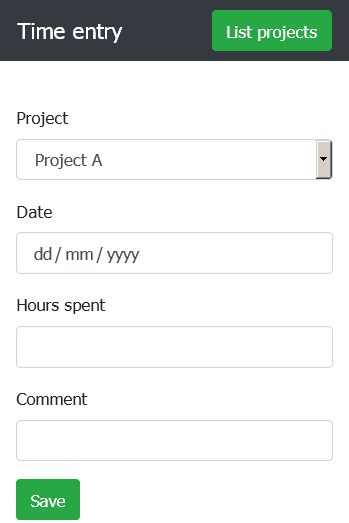 Up until very recently, this involved opening up an invoice template in a word processor, entering the date and invoice number, adding up the hours worked, and calculating the total and any taxes. I’d then export each invoice as a PDF and email it out. As if that wasn’t bad enough, at the end of each accounting year, I had to review a directory full of PDF files to calculate how much I’d earned, if any invoices were unpaid, and how many projects I’d completed. A few months ago, I decided I needed a better, less annoying approach. 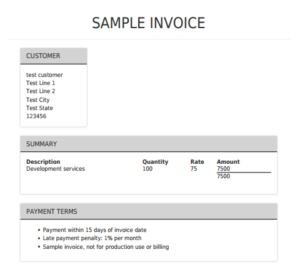 I decided to create a Web-based invoice generator, one that would need only the minimum necessary information from me and would take care of everything else (including generation, delivery and reporting). 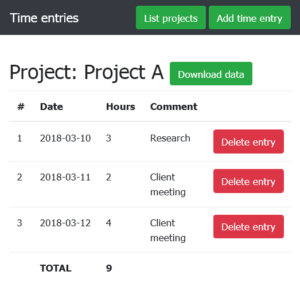 Since the plan was to eventually release it as an open source project for anyone to use and since every firm has its own invoice format, easy customization of the invoices was also a key design factor. If you’re looking for a better way to do invoices, try the live demo or fork the code on Github and use it for your own business. If you’re interested in finding out how to deploy or customize the application, read my developerWorks article for the full details.